POLICE in Western Australia are baffled by the mysterious disappearance of a family of three and their friend, who told family last July that they were going for a holiday to Brazil. The missing person's unit has been investigating the case for several months but has so far drawn a complete blank, and is now appealing to the public for help. Chantelle McDougall, 27, originally from Victoria, her English partner Simon Kadwell, 45, and their six-year-old daughter Leela had been living in a house 10km out of Nannup, in WA's southwest. They lived in the town for about 18 months after moving down from Perth, while a friend, Antonio Popic, 40, was living in a caravan in the backyard. Acting Sergeant Fiona Caporn said today Ms McDougall told her mother Cathy in July they were going away on holidays to Brazil. They called their real estate agent to say they were leaving and he could have their furniture, packed up their belongings and on July 13 travelled to Busselton where they sold their car. It was the last time they were seen. "There's nothing to say where they are, their location and whereabouts are unknown,'' Sgt Caporn said. She said the family largely kept to themselves, but there was no indication of foul play. Police said the bank accounts of the three adults were untouched, and Centrelink, Medicare and immigration checks had revealed nothing. Ms McDougall and her daughter were only reported missing in October when her parents called police, while Mr Popic's brother reported him missing in November. "Chantelle's parents didn't report them missing for a while because they were under the belief they had gone on a holiday, but all our information at this stage states they are still in Australia,'' Sgt Caporn said. Police say they have not yet identified Mr Kadwell's next of kin. The father of a Nannup woman and her daughter missing for nine months with a flatmate has spoken of the family’s heartbreak at not knowing what happened to them. Chantelle McDougall, 27, her daughter Leela, 6, and Antonio Popic, 40, have not been seen since July. Their belongings have not been touched and the home they rented, 10km from the South West town, has been abandoned. Officers who inspected the home found no sign of a struggle. Ms McDougall and Mr Popic are understood to have not touched Centrelink payments or bank accounts. No one has heard from the trio, who are understood to have told friends they were going on an overseas holiday. The mother and daughter had been living with two males at the time, including Mr Popic. Chantelle’s father Jim McDougall of Wodonga, NSW, told ABC Radio this morning that the family was heartbroken and had struggled to understand what happened to the trio. “It’s wearing the family down,” Mr McDougall said. Mr McDougall, who had only met Mr Popic once, said the family knew nothing other than that the trio had made plans to go on a holiday. However, he said the police had told them that there was no evidence they even left the country. “When they didn’t get back to us we got suspicious and were at a dead end,” he told ABC Radio. He said it had crossed their minds that the trio may have chosen to disappear but said they did not really have any clues. His daughter had often kept in touch, he said. Mr McDougall and his wife Cathy said they had tried to see their daughter and granddaughter once a year but the distance between Perth and Wodonga made visits difficult. He described his daughter as a normal outgoing person who loved to teach swimming. His granddaughter was one of three grandchildren and was special to the family. The mother and daughter were reported missing in October last year. Mr Popic was reported missing by his brother. Police and family members have been unable to locate the trio and hold grave fears for their safety. Police will launch a campaign for public help in solving the bizarre disappearance of a WA family, who vanished without a trace from their Nannup home nine months ago. Detectives said yesterday that they had no idea what had happened to Antonio Popic, 40, his partner Chantelle McDougall, 27, and her six-year-old daughter Leela have not been seen since July. The house they rented, 10km from the South-West town, was abandoned and the family’s belongings were apparently untouched. When officers inspected their home they found no sign of a struggle. In a sinister revelation, police said the family’s bank accounts had not been used since they went missing. And the unemployed couple had not accessed Centrelink payments. Sen. Const. Fiona Caporn, from the Missing Persons Unit, said police had no clue what had happened to the family. Friends and family had been unable to provide even a rumour about their fate and nobody has been contacted by the missing trio since July. “We have gone through all avenues of investigation and hope the public, through the media, can assist,” Sen. Const. Caporn said. The police investigation has been hobbled by the late notice that the family had disappeared. The alert was not raised until October, months after they were last seen, when Ms McDougall’s parents filed a missing persons report after not hearing from the couple. Mr Popic’s brother filed another in November. To further complicate the investigation, a forensic examination of the Nannup house has been compromised because the owner of the house had cleaned and re-rented the property after assuming her tenants had run off. The mystery is even murkier given the family sold their car not long before vanishing. In a last-ditch effort to unearth new information about what happened to the family, police are appealing to the public for information about sightings or contact with the trio since July. Sen. Const. Caporn said anyone with information should call Crime Stoppers on 1800 333 000. In October last year a missing persons report was made for 27 year old Chantelle MCDOUGALL and her six year old daughter Leela by Chantelle's parents Jim and Cathy MCDOUGALL. Chantelle and Leela were residing in Nannup with two other males, one who has also been reported missing by his brother - 40 year old Antonio POPIC. The house was abandoned with all of their belongings left behind and untouched and there has been no word or sighting of any of them since July last year. Family and friends of Chantelle, Leela and Antonio hold concerns for their safety. Extensive enquiries by police and family members have failed to locate any trace of the missing persons. Do you have any information which will assist in their whereabouts. If you know these people please call Crimestoppers on 1800 333 000. A doomsday sect, which urges its followers to prepare for the world’s imminent end and rebirth, has been linked to the disappearance of four people from the South-West town of Nannup nearly nine months ago. Simon Kadwill, 45, his partner Chantelle McDougall, 27, their sixyear-old daughter Leela McDougall and friend Antonio Popic, 40, have not been seen or heard from, nor have they used their bank accounts, since leaving their rented Nannup home in July. Joe Popic said Mr Kadwill had introduced his brother to the book, which calls on “servers” from Earth and elsewhere to awaken and take up their positions before the world’s imminent end and rebirth. Mr Kadwill had also tried unsuccessfully to recruit his brother as a “server”, Joe Popic said. Since his brother’s disappearance, he had tried to find out more about the book and its followers, with limited success. He urged anyone with information to come forward, believing they could hold a key to the mystery. He said of the missing group: “They are the type of people that it wouldn’t be out of the question if they’re living on a commune somewhere and don’t want to be found. But it’s very concerning and we just want to know if they’re safe and well. “There is nothing wrong with being alternative but I think they’re involved on a deeper level. Missing persons unit Acting Sgt Fiona Caporn said police had been unable to find any group in WA that followed the Servers of the Divine Plan or any link between the book and the disappearance of the group. There was also nothing to suggest foul play. Acting Sgt Caporn said police understood the missing people had kept to themselves in Nannup but she was reluctant to further discuss their lifestyle or whether they were part of a sect. Police initially had said they were searching only for Antonio Popic, Ms McDougall and Leela, who had been reported missing by their families in October. Yesterday they said they were also looking for Mr Kadwill, who is originally from England but has been in Australia for about seven years. He has not officially been reported missing and police have been unable to find any next of kin. 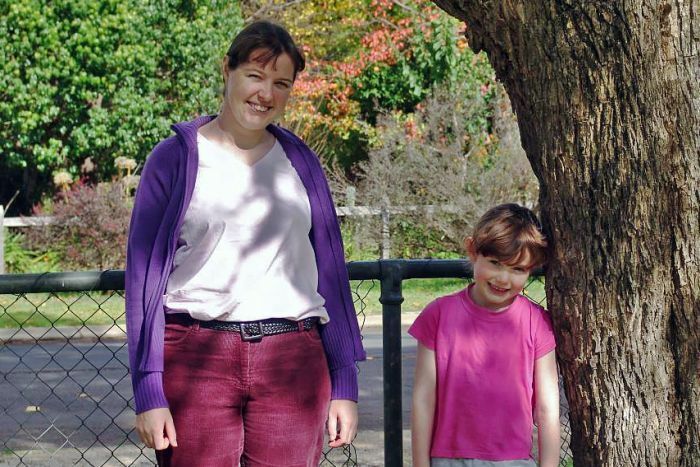 Ms McDougall’s father Jim, who lives near Wodonga in Victoria, said police had told him he could not discuss Mr Kadwill or whether his daughter had been involved in a sect or alternative teachings. He said she sounded happy and excited and there had been no reason to believe otherwise until she failed to contact them again, which was out of character. Police had told him there were no records of his daughter, granddaughter or friends leaving Australia. The group left their house on a rural property about 10km south of Nannup after paying up what they owed and telling the real estate agent to keep their furniture. Mr Popic had been living in a caravan at the rear of the house. The group took only their personal belongings. The last known sighting of the group was when Chantelle sold her car at a car yard in Busselton about the same time. Nannup residents who spoke to The West Australian yesterday said that although they had noticed the group’s absence in recent months, they had thought nothing of it, given the somewhat itinerant nature of the South-West town, even though the group had lived there for several years. “As far as the people around town knowing their whereabouts and when and how they left, no one has any idea,” local police officer Sen. Const. Dean Bristow said. Max Arvidson, who employed Ms McDougall at his fish and chip shop until a few months before her disappearance, said there had been talk in the community about the group’s alternative beliefs and that they might move because of Mr Kadwill’s concerns about high-tension electricity wires over their home. Mr Arvidson described Ms McDougall as a diligent worker and lovely person and mother. He said Mr Kadwill always gave the impression that he was an alternative thinker. “He behaved perhaps like you would expect (in the) 1960s, not the orange people but that sort of thing, very alternative, sometimes totally nonsensical,” he said. A neighbour described the group as quiet people who kept to themselves. They had given some hints that they could be ready to move on by raising concerns about the new electricity lines and also giving away their chickens. Ms McDougall was the only one in steady employment, working both at the fish and chip shop and teaching swimming to local children. She also home-schooled Leela. Joe Popic said his brother had always led a nomadic life, which was why it had taken him so long to raise the alarm with police. He said it was out of character for him to be out of touch for so long. “My brother is a very nice human being and he wouldn’t hurt a fly,” Joe Popic said. Acting Sgt Caporn defended the delay between the group being reported missing in October and police going public for help this week. “We’ve gone through our avenues of inquiry and gone through there, so this is the next stage of trying to appeal to the public,” she said. Police have stepped up their investigation into the disappearance of a family of three and their male lodger who vanished from the South West town of Nannup nine months ago. The case has baffled police who have issued an international missing persons alert and even investigated claims the four have joined a religious sect. Chantelle McDougall, Simon Kadwill and their six-year-old daughter Leela were renting a house last year, 10 kilometres out of nannup. Lodger and friend, Antonio Popic, lived in a caravan on the property. Last July all four vanished without a trace. Ms McDougall's father Jim McDougall reported her missing in October after being told she planned a holiday to Brazil with her daughter. "After a few week I was a bit suspicious we didn't hear so I actually contacted overseas where they were supposed to be and there was no record so I got really worried and contacted missing persons. Mr Popic's brother raised the alarm a month later. Mr Kadwill moved to Western Australia from Britain seven years ago and has no known next of kin. Police have revealed bank accounts and mobile telephones have not been accessed, and passports have not been used for overseas travel. Acting Sergeant Fiona Caporn says the missing people settled their lease agreement but seemed to have left in a hurry. "As far as we know a couple of days before they went missing they sold the car that Chantelle owned, they left their property in their house at Nannup and they haven't been seen since," she said. Ms McDougall worked part time in a fish and chip shop and taught children swimming lessons in her neighbour's pool. Police have made inquiries nationally and abroad and even followed up reports the group may have joined a religious sect. Anyone with information about the four is asked to contact the Missing Persons Unit. A BOOK predicting the end of the world will be pulled from publication after it was linked to the disappearance of four people in Western Australia. But publisher Brett Mitchell, the owner of Esoteric Publishing which he says published Servers of the Divine Plan, denied the book is the basis of a doomsday sect and expressed shock at the disappearances. Chantelle McDougall, 27, from Victoria, her English partner Simon Kadwill, 45, their six-year-old daughter Leela and housemate Antonio Popic, 40, have been missing since July. Mr Popic's brother, Joe, today said he believed they may be linked to a sect based on the writings of the book, which prophesises the birth of a new world following the end of a 75,000-year cycle. The book promotes itself as a guide calling on "servers" to prepare themselves as the globe heads for an imminent "Great Transition". In a statement on his website today, Mr Mitchell said the book would be immediately pulled from publication. "I am shocked to hear the news of the disappearance of Chantelle McDougall and her family," Mr Mitchell said. "I extend my deepest sympathy to the McDougall family and I really do hope that everyone is found soon. "I am also dismayed to see the book Servers of the Divine Plan linked to a `doomsday cult'. "This publishing house was founded to help people find their own way to truth, not to support cults and other fanaticism. I am removing the book from publication immediately." Mr Mitchell was being sought for further comment. Ms McDougall and her family were living in WA's south-western town of Nannup before telling Ms McDougall's family in Victoria they were going on a holiday to Brazil. Police yesterday appealed for public help in solving the mystery of their disappearance. The three adults' bank accounts have not been touched since they vanished and immigration checks showed they had not left the country. Joe Popic said Mr Kadwill introduced his brother and the others to the book. "They are the type of people that it wouldn't be out of the question if they're living on a commune somewhere and don't want to be found," Mr Popic told The West Australian newspaper. "But it's very concerning and we just want to know if they're safe and well." Police said they had received 30 telephone calls on the disappearances since yesterday's appeal and were currently wading through the information for credible leads. Police have appealed for public help in solving the mystery of their disappearance, but said they did not believe there had been foul play. Police are sifting through more than 30 calls to Crime Stoppers over the puzzling disappearance of four people from the South-West town of Nannup. WA police spokesman Sergeant Graham Clifford told thewest.com.au that there were no firm leads at this stage but police had received the calls from across the country to the crime reporting line. Sgt Clifford said that they now had to go through all that information to see if there was anything relevant to the inquiry. The West Australian revealed yesterday that police were searching for Simon Kadwill, 45, his partner Chantelle McDougall, 27, their daughter Leela, 6, and a flatmate Antonio Popic, 40, who lived in a caravan in the backyard, have not been seen or heard from since July. Mr Kadwill is the only one not to have been officially reported missing. None of their bank accounts have been touched since the group left their rented Nannup home nine months ago. As reported in The West Australian today, a doomsday sect, which urges its followers to prepare for the world’s imminent end and rebirth, has been linked to the group’s disappearance. East Perth real estate agent Joe Popic said yesterday he feared that the disappearance of his brother and his friends was linked to their involvement in a sect based on a book called Servers of the Divine Plan. Mr Popic said Mr Kadwill had introduced his brother to the book, which calls on “servers” from Earth and elsewhere to awaken and take up their positions before the world’s imminent end and rebirth. Since his brother’s disappearance, he had tried to find out more about the book and its followers, with limited success. He said of the missing group: “They are the type of people that it wouldn’t be out of the question if they’re living on a commune somewhere and don’t want to be found. But it’s very concerning and we just want to know if they’re safe and well. Ms McDougall’s father Jim, who lives near Wodonga in Victoria, said Chantelle had told his wife Cathy when they last spoke by telephone on July 14 that she and Leela were going on an extended holiday to South America. The group left their house on a rural property about 10km south of Nannup after paying up what they owed and telling the real estate agent to keep their furniture. The group took only their personal belongings. 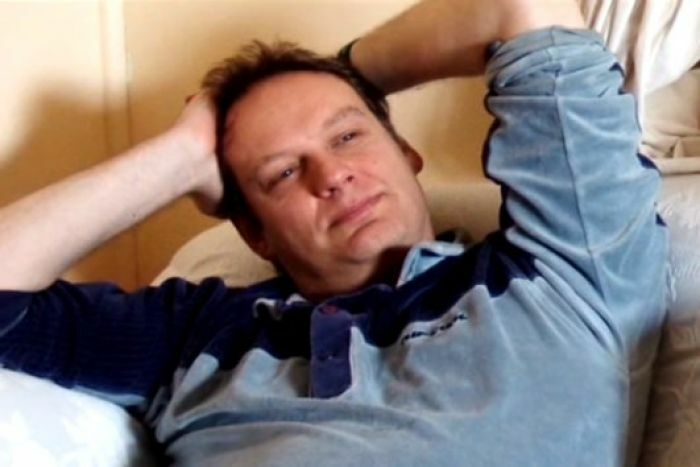 A BRITISH citizen who has gone missing with his Australian partner, their six-year-old daughter and a 40-year-old housemate may be more of a "conman than a cult leader", according to a West Australian cult expert. Simon Kadwill, 45, his partner Chantelle McDougall, 27, their daughter Leela and housemate Antonio Popic have not been seen for nine months since they took their belongings, sold their car and left their rented rural house in the tiny bush town of Nannup, 280km southwest of Perth. While police remained tight-lipped on their missing person investigation, religious group expert Adrian van Leen said Mr Kadwill, aka Kadwell or Kaddy, had written the New Age book Servers of the Divine Plan. Police confirmed the man had several aliases. The book, which prophesises the birth of a new world of higher consciousness following the end of a 75,000-year cycle, has sold 4000 copies since its 1999 release. But yesterday its publisher, Esoteric Publishing, a California-based company, withdrew the title from sale. "This publishing house was founded to help people find their own way to truth, not to support cults and other fanaticism. I am removing the book from publication immediately," a statement from publisher Brett Mitchell said on the company's website yesterday. Mr Mitchell would not confirm who wrote the book, saying he had "promised not to", but he said Esoteric Publishing had paid royalties to the author. It was not known how recently payments were made. Mr van Leen said Mr Kadwill had in the past promoted himself as a "higher being", who needed very little sleep. He said Mr Kadwill was not involved in a "doomsday cult" that would commit group suicide. "It doesn't have the hallmarks of a Waco (cult)," Mr van Leen said. Nannup locals said the group's members kept to themselves and were hardly seen around the town. Ms McDougall worked at the local fish and chip shop. Both men received Centrelink payments while Leela was home-schooled. Perth detectives said earlier this week that very little was known about Mr Kadwill, except for the fact he had been in Australia for seven years. They had checked immigration, Medicare and Centrelink records, but had found no trace of the group or whether they had attempted to leave the country. Ms McDougall's Victorian parents reported her and Leela missing last October after discovering they had not gone on an overseas holiday as Ms McDougall had told them. None of the group's bank accounts have been touched since July 13 last year. A cult awareness group has contacted police about their missing persons investigation into the disappearance of four people from the south-west town of Nannup. Chantelle McDougall, her partner Simon Kadwill and their daughter Leela have not been seen since July last year. Forty-year-old Antonio Popic, who lived in a caravan at the back of the property, is also missing. Concerned Christian Ministries director Adrian Van Leen says his group has discovered that Mr Kadwill wrote a New Age book called Servers of the Divine Plan and conducted lessons. He has told the ABC the book does not promote dangerous beliefs. "I don't think the book is saying anything different to a lot of new agey type publications and material, in itself it doesn't predict a serious end time scenerio with people committing mass murder suicide," he said. The disappearance of the four people has baffled police who are calling on anyone with any information to contact the Missing Persons Unit. WA police say they’re keeping an open mind over links to a sect or commune in the disappearance of four people from a small town in the state’s south-west more than nine months ago. One of the four, Englishman Simon Kadwill, 45, was revealed yesterday as the author of a new age book, Servers of the Divine Plan, predicting the world was about to come to the end of a 75,000-year cycle and enter a phase of higher consciousness. Brett Mitchell, owner of Esoteric Publishing, which published the book, confirmed Mr Kadwill was the previously anonymous author. Mr Mitchell rejected speculation the text was linked to a doomsday cult but immediately withdrew it from publication. Mr Kadwill, Chantelle McDougall, 27, from Victoria and the pair’s six-year-old daughter Leela, along with their housemate Antonio Popic, 40, have been missing since July last year. They had been living in a house about 10km out of Nannup when Ms McDougall told her mother they were going on a holiday to Brazil. They sold their car, packed their belongings and left their furniture with their real estate agent. The four have not been seen since, their bank accounts remain untouched, and there is no sign they ever actually left Australia. Police appealed for public help in finding the four earlier this week, all of whom had been reported missing except for Mr Kadwill. Police said they had not been able to track down his next of kin and knew little else about him other than he had been in Australia for seven years. Servers of the Divine Plan promotes itself as a guide for “servers” to prepare themselves as the globe heads towards an imminent “Great Transition” from darkness into light. It has prompted speculation he may have led the other three to live in a commune or in isolation somewhere in the forrest’s of the Nannup region. Police today said they had received more than 30 telephone calls about the disappearances, but there was still nothing to indicate foul play. “Police continue to keep an open mind in this investigation,” a statement said. “Speculation about the involvement of religious sect/s is simply being treated as speculation - however, police will always keep an open mind. Gary Feldman, as we know him now, claimed to be some sort of religious guru and he enticed them into his little flock that way. The mysterious disappearance of a Nannup family linked to an internet cult has taken a dramatic twist, with police investigating whether they were on a plane which crashed in Brazil four years ago. Chantelle McDougall, 30, her cult leader boyfriend Gary Felton, 48, their daughter Leela McDougall, 10, and friend Tony Popic, 44, were last seen on July 13, 2007 in Busselton where they sold a car for $4000 to a local dealer and drove away in a waiting vehicle. The group, none of whom have touched their bank accounts since, told family and friends they were headed for Brazil. Four days later, Tam Airlines domestic flight 3054 from Porto Alegre to Sao Paulo crashed at Sao Paulo Airport, killing 181 passengers, six flight crew and 12 people on the ground. The plane careered off the end of the runway, cleared a highway bordering the inner-city airport, slammed into a fuel depot and burst into flames. The resulting heat was so intense that more than 70 of the bodies were so badly burnt they were either never recovered or could not be identified. _The West Australian _understands the WA Police missing persons squad has been liaising with Brazilian authorities in an effort to determine whether the missing group were among the victims. While the flight's passenger manifest is publicly available, and does not contain the names of any of the group, the issue has been complicated by Mr Felton's history of forging identity documents. While living in Australia, where he operated a secretive doomsday internet forum, the Englishman went by the name Simon Kadwell - an identity he stole from a former British associate more than 15 years ago. It is understood WA detectives have been investigating whether the group could have travelled under false identities, but are yet to find any evidence that they did. Police have previously said they had not left Australia under their real names. WA Police refused to comment on the case yesterday. Chantelle's father Jim McDougall said yesterday he had conducted his own investigations into the plane crash and did not believe the group were on board. He did not believe there was enough time for them to have made it to Porto Alegre in time for the flight. "We spoke to police about that crash a little while back but we haven't had any recent update on what they've come across," Mr McDougall said. "We looked at the names on the passenger list and didn't find theirs, which was a big relief. "We strongly believe they are alive and are hoping that they will make contact sooner, rather than later." Mr McDougall and his wife have previously accused Mr Felton of brainwashing and seducing their daughter when, as a 17-year-old, she started babysitting for him. Mr Felton and Chantelle had Leela and in 2004 moved with Mr Popic to Nannup, where Mr Felton operated the doomsday forum called The Gateway. He was called Si in the internet chat forum, which involved about 40 members around the world who referred to themselves as the Forecourt - a religious reference to the place where believers wait for "judgment day". A note left behind simply said: "Gone to Brazil". 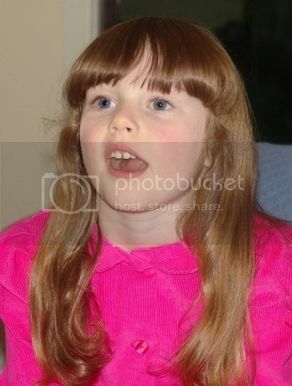 It was the only clue internet cult leader Simon Kadwell, partner Chantelle McDougall, their daughter Leela, and lodger Tony Popic left at their home in Nannup in 2007. Ten years on, their disappearance remains among Australia's most baffling missing persons cases. It gained extra notoriety because of the mystery surrounding Mr Kadwell, a man of many aliases who has been called a conman and cult leader. There are fears Ms McDougall, Leela and Mr Popic were swept up in Mr Kadwell's self-styled New Age religion that prophesised an imminent judgment day. A coronial inquest examining the disappearances begins today in the south-west WA town of Busselton. The four fled their home in the nearby town of Nannup in July 2007, leaving behind wallets, credit cards, food in the fridge and dirty dishes on the table. There is no proof they left the country. Their bodies have never been found and there is no proof they are dead. There is also no proof they are alive. For years, Chantelle's parents Catherine and Jim McDougall have hoped their daughter and granddaughter would be found alive as the search expanded from WA to Australia and overseas. After a decade their hopes have faded, although they believe someone, somewhere, knows what happened. Over the years there have been glimmers of hope the four might be found. WA police investigated whether they snuck out of Australia and travelled to Brazil to live in a commune on the outskirts of Rio Branco — a town in the Amazon rainforests that is home to syncretic religious cults. A few years after they went missing it was discovered the cult leader had stolen his identity from a former colleague, and Mr Kadwell's real name was Gary Felton. Amateur sleuths also argued over the group's fate in online private investigator forums, putting forward the idea they had been aboard an Airbus plane that crashed and exploded, killing all on board, in Sao Paulo, Brazil in 2007. The last lead investigated by police was evidence Mr Kadwell or Mr Popic had stayed in a Northbridge backpackers before catching a train to Kalgoorlie on the night of July 15, 2007, just days after they went missing. All leads on their whereabouts were dead ends. Every time a body is found, the McDougalls think that perhaps, this time, it will be their daughter or granddaughter. "It's terrible. Your heart races and your mind spins and you think, 'Maybe it is them'," Ms McDougall said. "Then you find out it's not [Chantelle or Leela] and you think 'Another dead end'. It's really hard." Chantelle was last seen on July 13, 2007, when she sold her car for $4,000 at a Busselton dealership. That money sits untouched in her bank account, along with the money she made from selling her breeding dogs — two long-haired dachshunds. The McDougalls have prepared for the coroner to this week rule their daughter and granddaughter are dead. "We would like some final decision. If it's an open finding then … it is what it is," Mr McDougall said. Nannup, a timber town about 270 kilometres south-west of Perth, is home to just 500 people. In a rented house, Mr Kadwell wrote under the name "Si" to his 40 online followers in a group forum called The Truth Fellowship. His followers call themselves "servers" and are still posting about his book Servers of the Divine Plan in a social media group. Mr Kadwell also authored a similar book with doomsday themes called The New Call, which can still be bought online. Paperback copies sell for an eye-watering $360. All of Mr Kadwell's writing prophesied Earth was heading to the end of a 75,000-year cycle and a new world would be born. He wrote to followers that every 75,000 years a judgment day occurred, and those who had learned "the lessons of the physical plane will be harvested into, or promoted to, a higher, more expansive level of experience". His books are still finding fans online who do not know the mysterious story of the four West Australians' disappearance. The pain of not knowing what happened to Chantelle and Leela is like an open wound for the McDougalls. "It would be so much of a relief to find out what happened, whether it is good or bad," Ms McDougall said. "It's the not knowing that's horrible." "My inclination at this stage is that there is simply insufficient evidence to find beyond reasonable doubt that everyone is dead," he said. A coronial inquest into the disappearance of a self-styled religious cult leader and his family has failed to determine whether the group is still alive or dead. 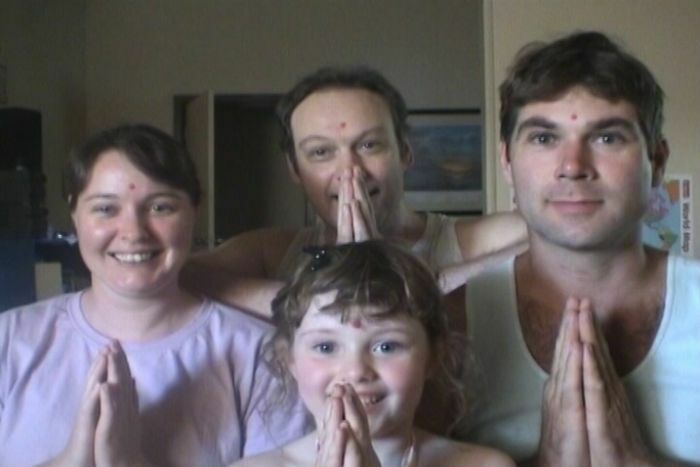 In one of Australia's most baffling missing persons cases, internet cult leader Simon Kadwell, 55, partner Chantelle McDougall, 28, their daughter Leela, 5, and friend Tony Popic vanished from the farmhouse they shared in the small Western Australian town of Nannup in 2007. Ms McDougall told her family they planned to move to Brazil for spiritual reasons, but there is no indication the four ever left the country, nor has there been any confirmed sighting of them since. A three-day inquest before coroner Barry King in December heard police had failed to fully investigate all of the evidence and possible sightings. In his final report released today, Mr King said based on the evidence presented during the inquest, he could not make a conclusive ruling on whether the group had died or if they were still alive. He said the group's spiritual beliefs about "ascending to a high plane", as well as the fact they had not accessed bank accounts or contacted family, pointed towards their deaths. But the coroner also noted there was enough evidence, including four unconfirmed sightings of the group, to support the theory they were alive after orchestrating their own disappearances. Two tickets booked under the name "J Roberts" were redeemed on the morning of July 16, 2007 — one going from East Perth to Kalgoorlie and the other from Perth to Northcliffe. An unused bus ticket from Bridgetown to Northcliffe in the same name had been booked days earlier, after a call was made from the group's Nannup home to TransWA. The group also sold vehicles and pets, paid off credit cards and disconnected utility services in the lead-up to their disappearance, behaviour Mr King described as preparatory. Mr King said he thought a self-styled cult leader like Mr Kadwell, who had spoken often of peaceful suicide pacts and the like, would have publicised his own death. "It seems to me that if Simon had truly been motivated to end his life by his desire to be considered a spiritual leader, making his ascension known would have been a powerful message," he wrote. Ms McDougall's parents Jim and Catherine had called for the inquest in the hope they would get the answers they have so desperately desired. But Catherine McDougall said despite the comprehensive testimony of eight witnesses, they had no new information to go on. "We just have to hope that someone knows something and they come forward," she said. "We'd just like to know what has happened to them, whether it's good or bad. "It's the not knowing that's so hard. It's nearly 11 years now and we just don't know what's happened to them." Catherine McDougall said living with the trauma of not knowing what had happened to her daughter and granddaughter was a torturous cycle. "Every day I think of different scenarios of what happened — either they've gone through with the suicide pact or they've actually disappeared somewhere else," she said. "I just don't know. It's just so hard all the time. You think about it — maybe they've done this or maybe that's happened. It's just horrible. "I just hope that it doesn't happen to anyone else, because it's just a hard thing to have to go through all this all the time."